(can be installed without lifting the door off the bracket). For light commercial rolling doors up to 25m2 that can operate up to 30 cycles per day. Don't let a power outage lock you out, the Silent Drive 850+ with battery back up you will never get caught out. It is Ideal for large single or double residential roller doors. This premium quality automatic opener is quiet, secure and contains the latest energy saving design features. Designed in Australia and nominated for an Australian International Design Award. This is more than just another roller door opener. Suitable for doors up to 16.5m2 with optional battery backup, integrated monitored output for home automation and energy-saving LED lighting. This opener is ideal for large single or double residential roller doors. Designed in Australia for installations with minimal side room. This opener offers modern practicality, style and power. The extra heavy duty design is made to operate series 2 roller doors up to 25m2 and 5.5m high. No need to open your door the old fashioned way, now there is an affordable solution to fit your existing door. 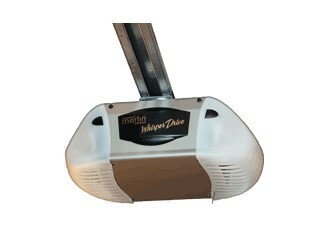 The MR60 is a slimline DC roller door opener for single doors up to 8m2. 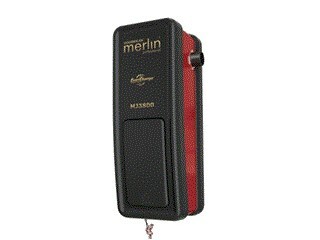 Based on Merlin’s highly successful,durable and reliable MR800 series, this opener is quiet, powerful and easy to use. A powerful AC roller door opener and proven performer, robust in construction, suitable for older or heavy spring balanced residential doors up to 16.5m2. The MR1000 sets a new safety standard for AC roller door openers and now features improved auto force detection and force reversal. The Whisper Drive MT3850EVO is super fast and quiet with integrated battery backup. This energy efficient opener has the latest security and multi frequency remote technology and is packed with accessories. It will suit all major brands of door up to 18m2. Whisper Drive is the perfect match for any residential sectional door. This innovative opener is installed beside the door, leaving your garage ceiling clear for storage space or simply improved aesthetics. Powerful, quiet and packed with accessories including safety beams, deluxe wall control, and automatic close this opener is the ideal choice for a designer home. With European styling, this feature packed DC opener has the power and reliability to open large double tilt or sectional doors up to 15m2. The MT800 is the perfect choice for the modern home. With its powerful AC motor and dual speed drive sprocket this opener has been engineered to open sectional doors quickly or tilt doors slowly. Capable of opening modern or older doors up to 15.5m2 effortlessly, it’s no wonder this is the world’s most popular opener. A powerful DC motor and a clever minimalist design has been combined to produce this versatile opener, capable of opening tilt or sectional doors. With its durable chain and C-rail drive system the MT60 is an ideal choice for modern homes, town houses or units. With the power to open very large garage doors, this opener is a classic performer. Basic and functional design has been matched with modern electronics to produce this powerful AC opener. Engineered to open sectional and tilt garage doors up to 21m2, the MT230 is a modern classic.